ew, better, more options, and this software is freeware; so it is free. 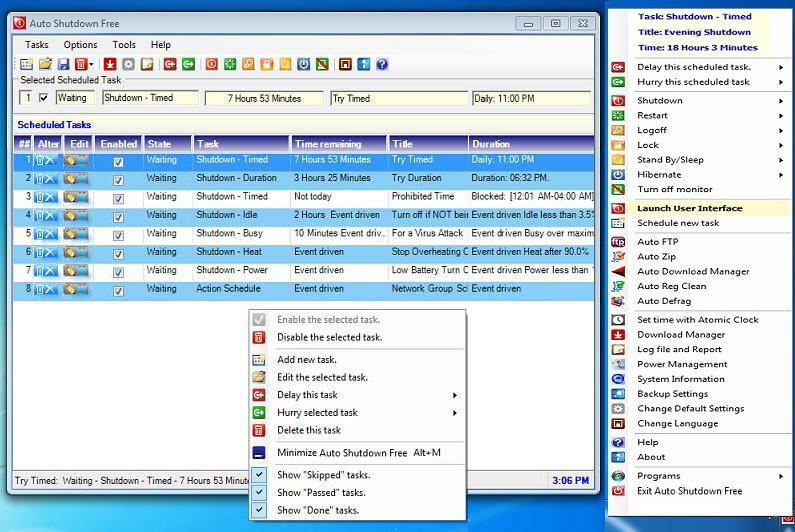 This software is the handiest, newest software to help you automate shutdowns, countdowns, restarts, hibernate, sleeps, power on, power off, log off, locks, turning off the monitor all at schedule times you specify. Plus with added options to shutdown the computer if idling, the ability to play tunes and videos, display countdowns, files, URLs, and reminder messages, kill running programs, allowing for multiple tasks, with tutorials, all features usually found only in high price shareware shutdown programs. The software will even delay events if downloads or if key programs which you specify are running.